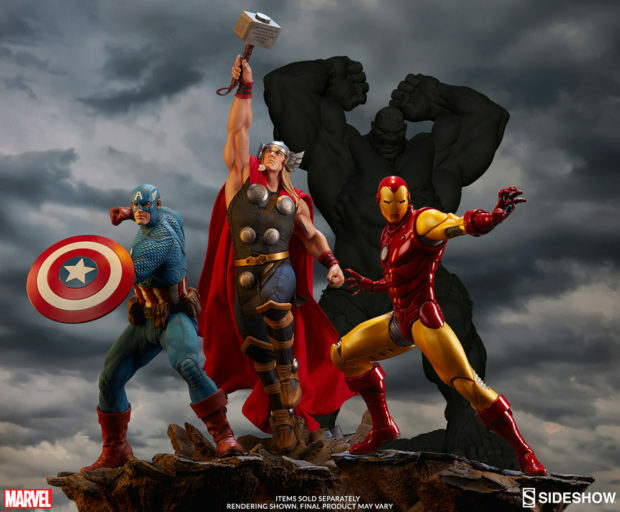 The third statue in Sideshow Collectibles’ line of classical fifth-scale statues is available for pre-order. 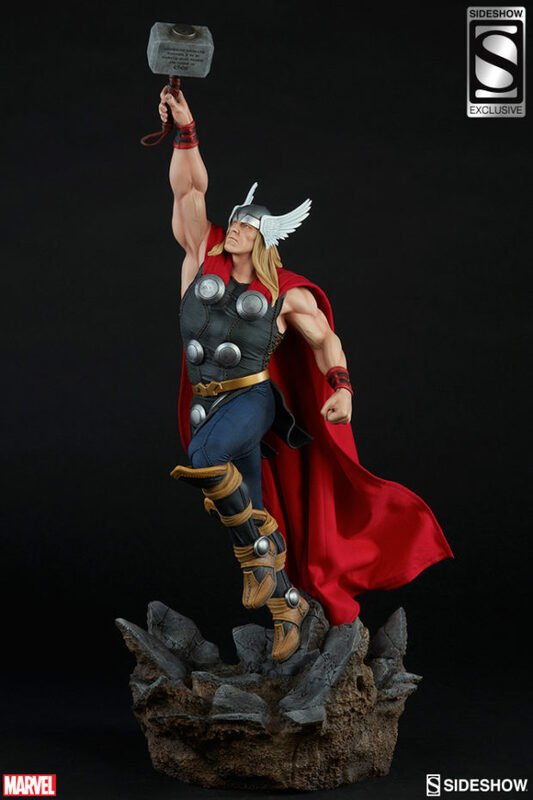 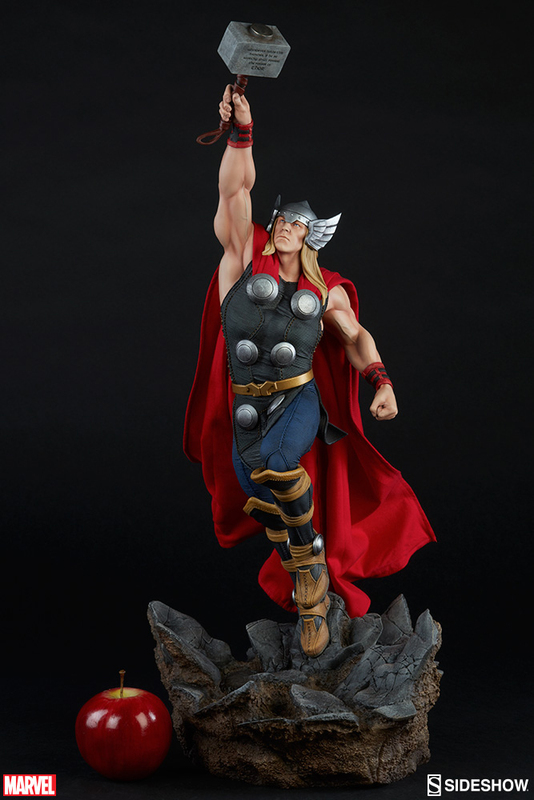 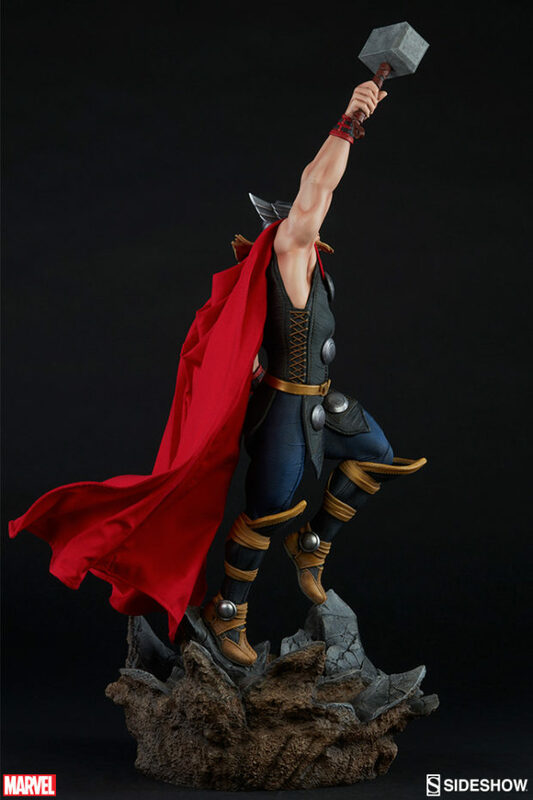 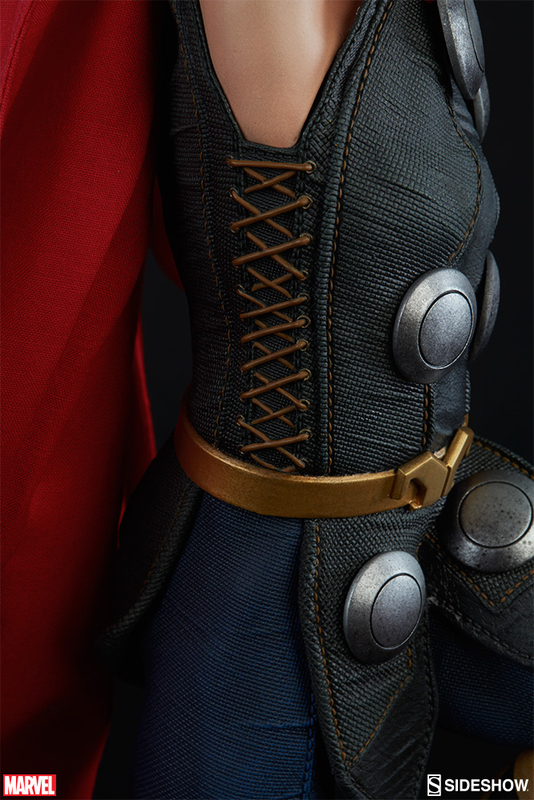 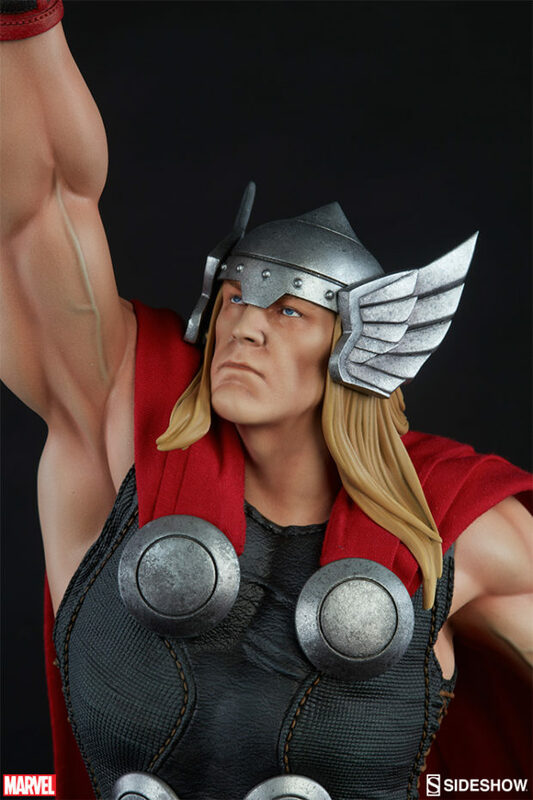 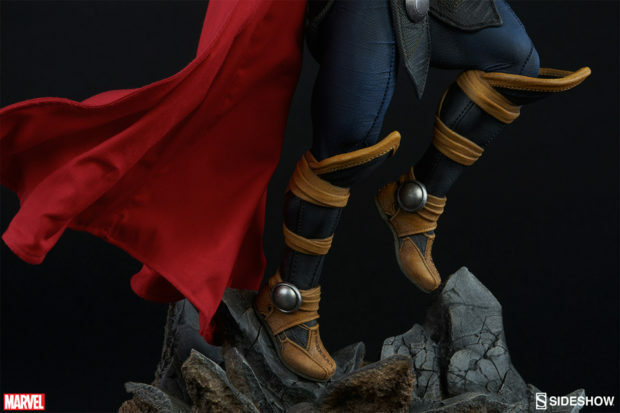 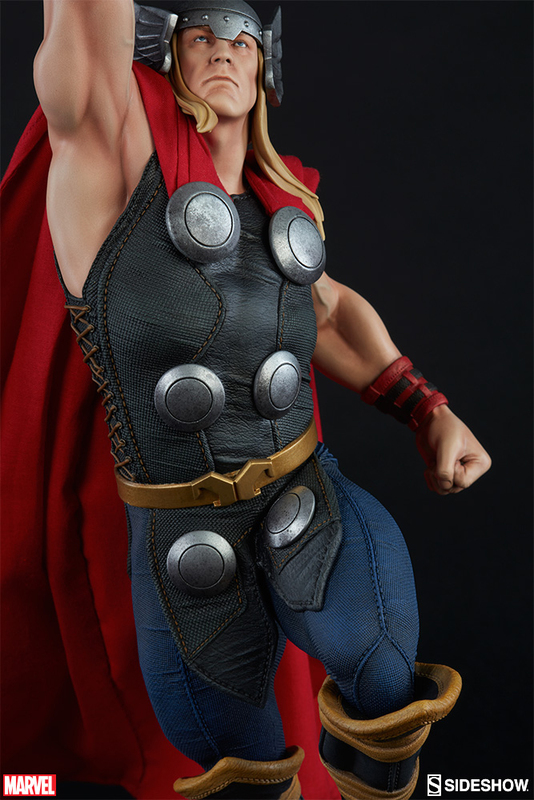 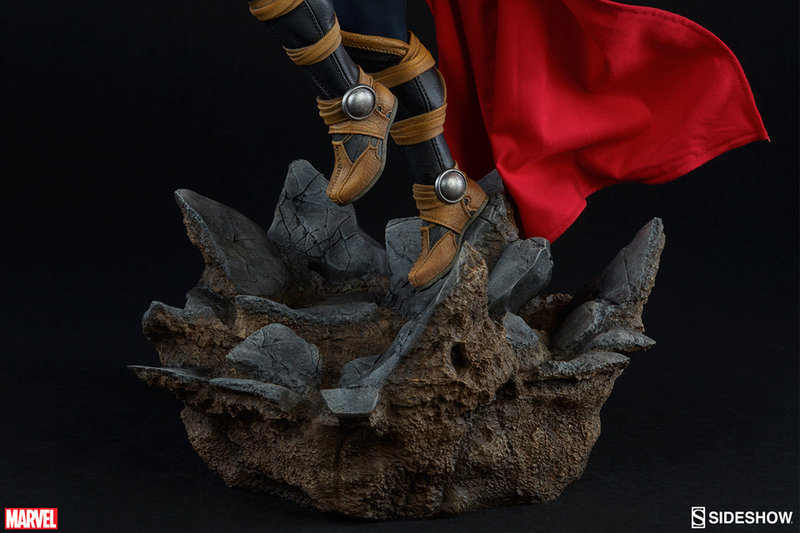 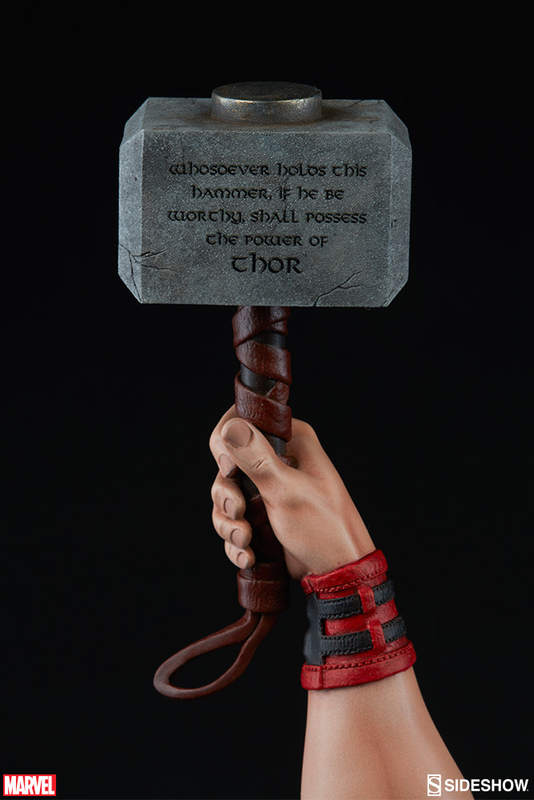 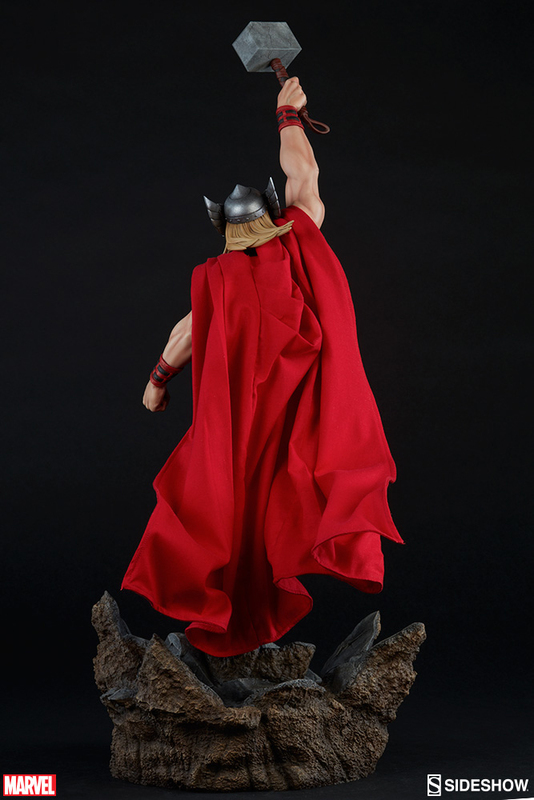 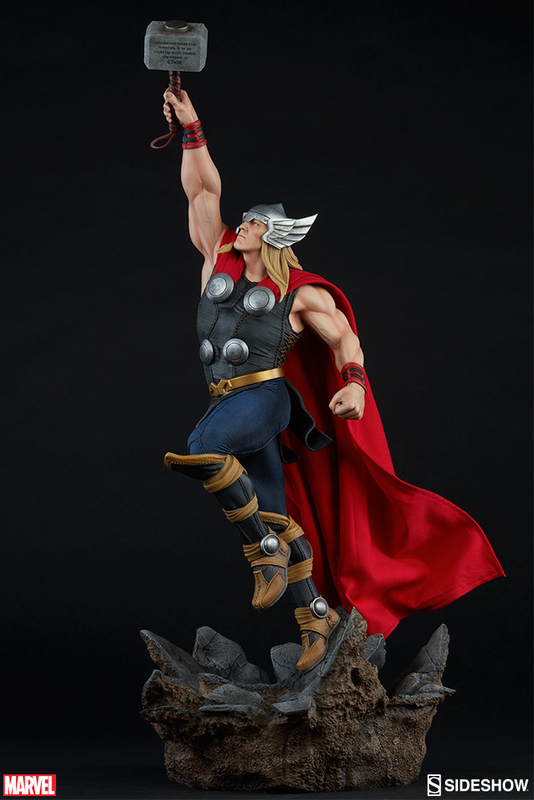 As with the Captain America statue, the god of thunder’s fabric and leather costume is impeccably made, and his cape has been lined with wire for dynamic poses. 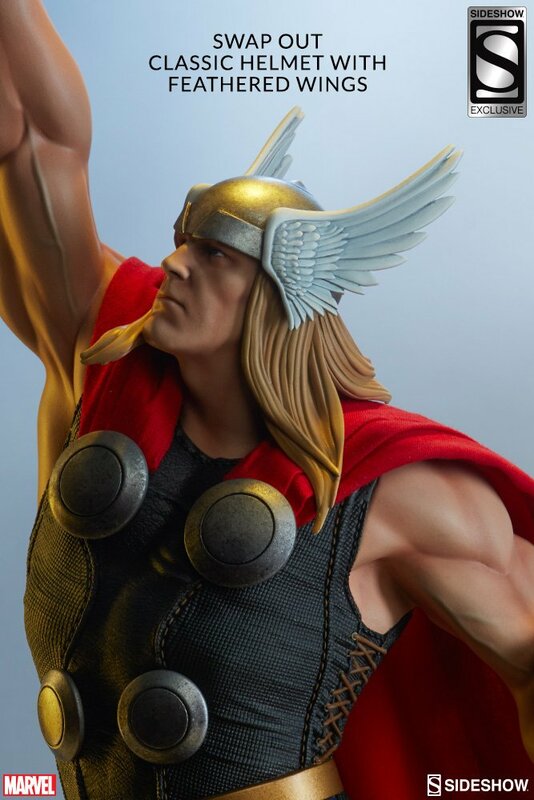 The statue comes with an alternate head that has the classic feathered wing helmet. 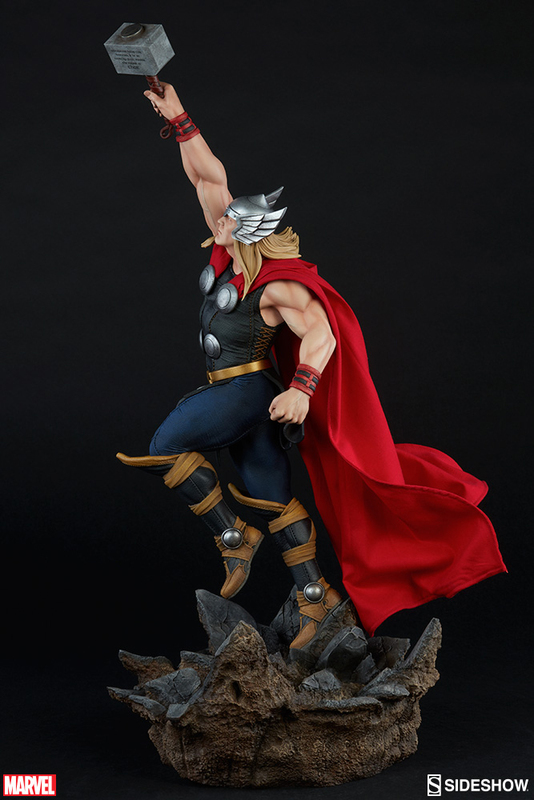 You can pre-order it now for $420 (USD).